This is the basic recipe for the preparation of numerous tarts and biscuits. 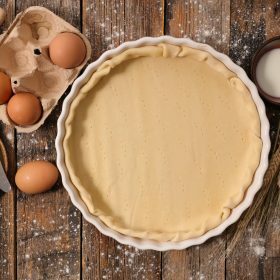 The shortcrust pastry recipe is among the most used in confectionery, quick and easy, will allow you to prepare many tasty desserts. Among the most used bases in pastry, pasta frolla is a mixture that is normally prepared with flour, fat, eggs and sugars. Perfect for many sweet and savory preparations from biscuits to tart to strudel or Easter pies like pastiera Napoletana, shortcrust pastry can be made by hand or with the Thermomix. 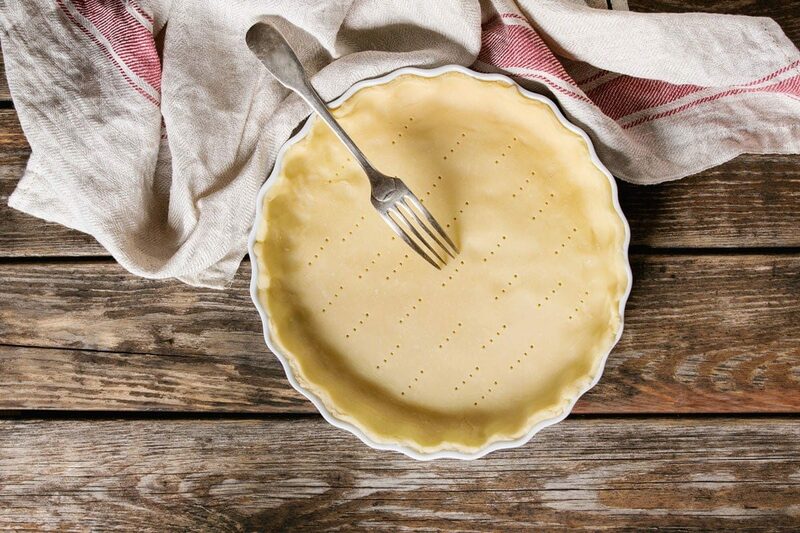 Below you find it in its most basic version, but the shortcrust pastry can also be flavored with vanilla, citrus peel or various spices as needed. It can also be made without egg whites to be more friable. Pasta frolla is one of the most used bases in the Italian desserts. It's simple and easy to make, and it's the base of the crostata pie. To prepare an excellent short pastry, let the butter soften at room temperature so you can mix it more easily with the other ingredients. Mix flour, sugar, and salt and arrange them in a fountain on a flat surface. Cut the butter in small cubes and put it in the center along with the whole egg and the yolk, and a pinch of salt. Work the ingredients quickly with your hands until a smooth dough is obtained. Wrap the dough in the transparent film and let it rest in the refrigerator for at least an hour. Withdraw the dough, remove the film, roll it with a rolling pin of some millimeters and place it in a buttered cake tin. Bake in a preheated oven at 180 degrees for about twenty minutes to obtain an excellent "shell" to be filled with custard, fruit and other ingredients at your convenience. Use this pasta frolla recipe to make this delicious peach crostata recipe!